In round two, Niemi stopped Zach Parise’s backhand attempt and Brodeur gloved down Patrick Kane’s shot. New Jersey’s last hope was Kovalchuk and his backhand shot sailed over the crossbar, sealing the come-from behind victory for Chicago. Game Notes: There were no penalties called in the game, the first time that’s ever happened for New Jersey in their franchise history and the first NHL game to feature no infractions since March 28, 2001 (Toronto vs. Boston). Devils center Dainius Zubrus didn’t play due to illness. Blackhawks defenseman Duncan Keith led all skaters in ice-time with 28:51 and Mottau led New Jersey with 24:52. Kovalchuk and Langenbrunner led all players with six shots on goal apiece; Dustin Byfuglien (played defense, normally a forward) led Chicago with five. Ex-Devil John Madden led all players in face-off pct. (8-2, 80%) in his first game in New Jersey as a visitor; Devils forward Rod Pelley led all players with seven hits. New Jersey (44-26-7) plays at Carolina (33-35-10) on Saturday night and Chicago (48-22-7) returns home to play Calgary (40-29-9) on Easter Sunday. 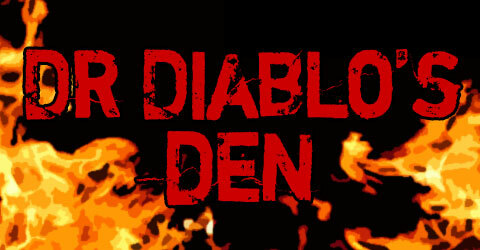 Dan Rice covers the New Jersey Devils & NHL for NYCSportsnetwork.com, & can be reached at drdiablo321@yahoo.com.